When deciding on ingredients for a supplement mix or choosing a proprietary supplement, it is important to determine the cost of the supplement in relation to the nutrient you require. In some cases the supplement that appears to be the dearest may actually be the cheapest per unit of nutrient. For example assuming urea costs about $1,200/t. At 46% nitrogen this equates to 287% equivalent protein. 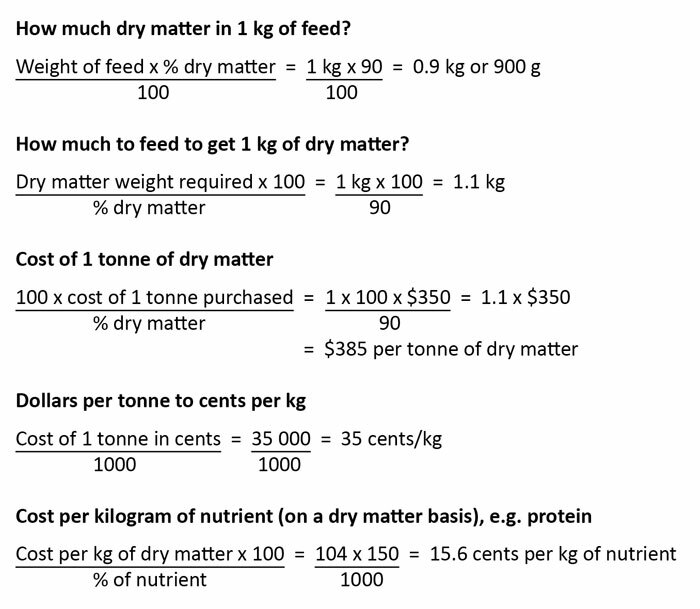 (To calculate protein in a feed multiply the nitrogen content by 6.25.) On this basis the cost of a kilogram of protein from urea is 42¢. Compare this with the cost of another source of protein, for example cottonseed meal at $600/t and 43% protein. The cost of a kilogram of protein is $1.40. The first question to be answered is: ‘Am I using the most cost-effective ingredients’? Once you are confident your supplement is the cheapest per unit of nutrient, the next question to be answered is: ‘Is it still economical to supplement’? To answer this question correctly you need to know the improvement in performance that can be attributed to the supplement. As feed prices rise, the cost per unit of nutrient will also rise so the cost/benefit ratio will not be as good as it used to be, irrespective of the supplement used. In some cases where only marginal improvements are achieved in animal performance, it may be more cost effective not to supplement and accept lower performance. For more information see Product labels – What are they saying? and Nutrient composition of feeds. Russ Tyler, formerly Queensland Government.